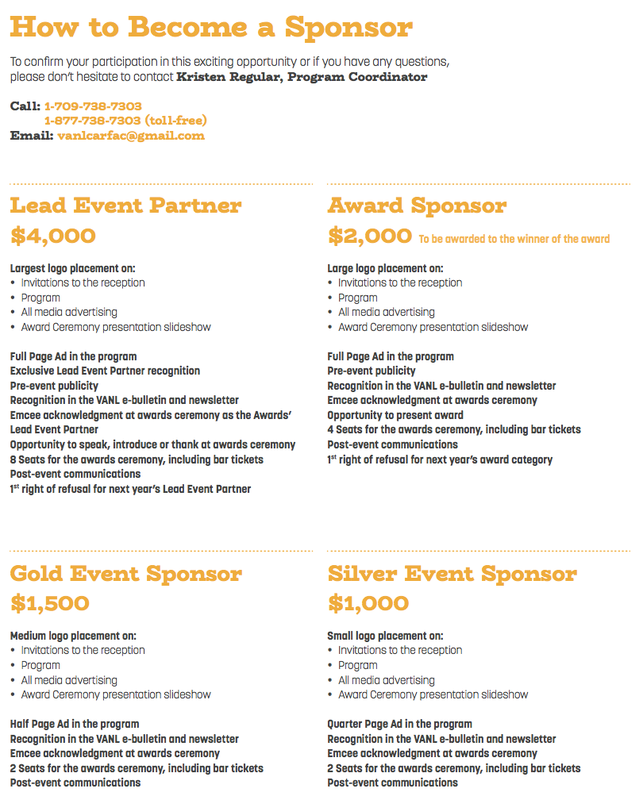 The Excellence in Visual Arts Awards are funded solely through corporate and community donations. This valuable program would not be possible without the generosity of our corporate and community partners. 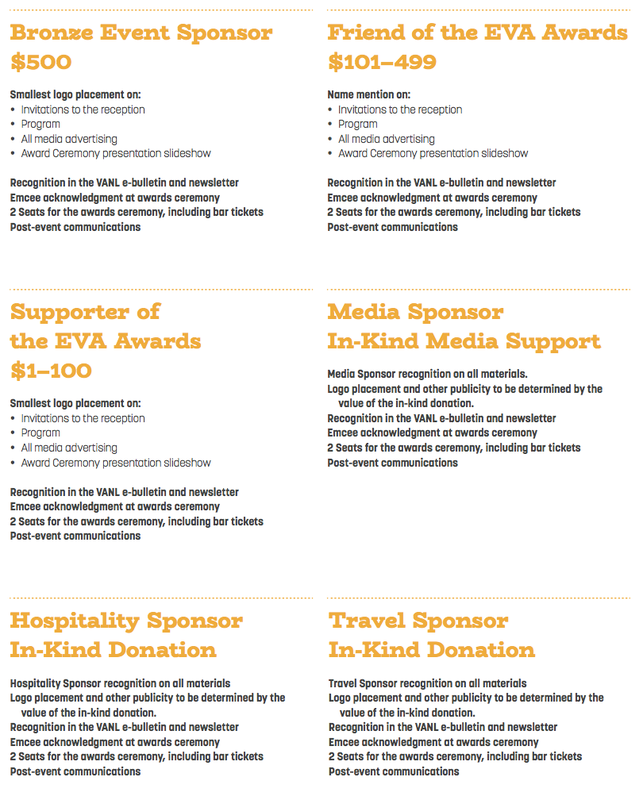 There are many different levels of sponsorship, each with significant benefits, listed below.